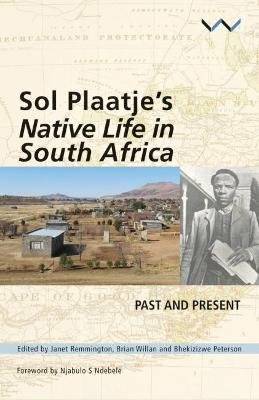 First published in 1916, Sol Plaatje's Native Life in South Africa was written by one of the South Africa's most talented early 20th-century black leaders and journalists. Plaatje's pioneering book arose out of an early African National Congress campaign to protest against the discriminatory1913 Natives Land Act. Native Life vividly narrates Plaatje's investigative journeying into South Africa's rural heartlands to report on the effects of the Act and his involvement in the deputation to the British imperial government. At the same time it tells the bigger story of the assault on black rights and opportunities in the newly consolidated Union of South Africa - and the resistance to it. Originally published in war-time London, but about South Africa and its place in the world, Native Life travelled far and wide, being distributed in the United States under the auspices of prominent African-American W E B Du Bois. South African editions were to follow only in the late apartheid period and beyond. The aim of this multi-authored volume is to shed new light on how and why Native Life came into being at a critical historical juncture, and to refl ect on how it can be read in relation to South Africa's heightened challenges today. Crucial areas that come under the spotlight in this collection include land, race, history, mobility, belonging, war, the press, law, literature, language, gender, politics, and the state.